A delicate 30mm charm depicting the Eiffel Tower in black and white with a hint of brick red is combined with an earthy red jasper round and the soft glow of a fresh water pearl in this handmade charm necklace. This Summer in Paris inspired charm necklace is accompanied by a matching silver-plated chain. Stop by and visit http://stumblingonsainthood.etsy.com to see more handmade designs. Eiffel Tower in Paris Charm Necklace with Amethyst Gemstone and Fresh Water Pearl. Handmade Jewelry. Special Angel Necklace in Bronze with Wire Wrapped Teardrop and Fresh Water Pearl. Handmade Jewelry. Black Cat Locket Necklace. Cat Necklace with Black Teardrop and Fresh Water Pearl. Handmade Jewelry. Mermaid Necklace. Mermaid Pendant with Dark Blue Teardrop and Fresh Water Pearl. Oval Charm Necklace. Mermaid Jewelry. Handmade Jewellery. Bluebirds Charm Necklace with Wire Wrapped Cobalt Blue Teardrop and Pearl. Handmade Jewelry. Blue Butterfly Charm Necklace in Bronze with Wire Wrapped Blue Teardrop and Pearl. Handmade Jewelry. Song Bird Necklace. Bird Pendant with Glass Teardrop and Gray Fresh Water Pearl. Oval Charm Necklace. Bird Jewelry. Handmade Jewellery. Yellow Necklace. Kissing Ball Necklace. Rhinestone Necklace with Fresh Water Pearl. Handmade Jewelry. Dragon Charm Necklace. Bronze Dragon Necklace with Red Teardrop and Fresh Water Pearl. Handmade Jewelry. Fire Butterfly Necklace. Butterfly Locket Necklace with Red Teardrop and Fresh Water Pearl. Handmade Jewellery. Kangaroo Charm Necklace in Bronze with Amber Crystal and Pearl. Handmade Jewelry. 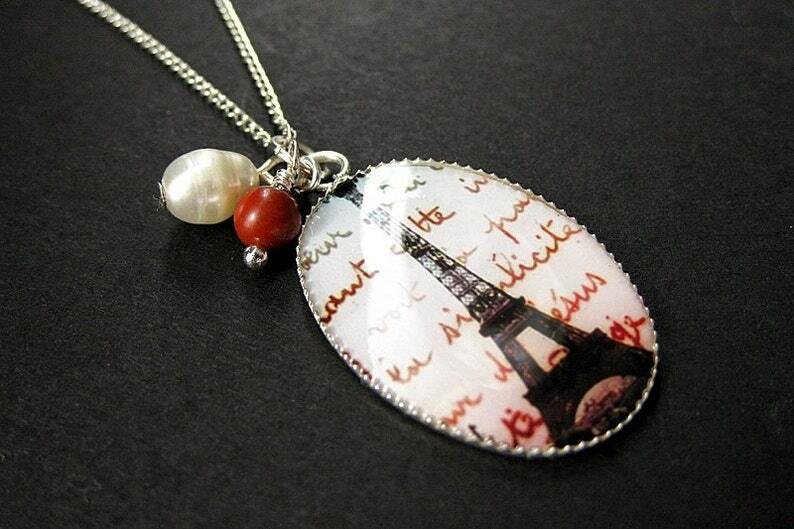 Eiffel Tower Locket. French Charm Necklace with Taupe Crystal and Fresh Water Pearl. Handmade Jewelry. Butterfly Locket Necklace. Autumn Butterfly Necklace with Wire Wrapped Teardrop and Pearl. Handmade Jewelry.